Funeral services will be held at 7:00 p.m. Tuesday, December 11, 2018 in Howe and Yockey Funeral Home, Shelbyville, IL with Rev. Kevin Ray officiating and flag presentation by the Shelby County Honor Guard. Visitation will be from 4:00-7:00 p.m. Tuesday in the funeral home. Memorials may be given to V.F.W. Post #4829 of Shelbyville, Shelby County Honor Guard or the DMH Family Lodge. Jerry was born on August 10, 1943 in Los Angeles, CA, the son of Warren “Steve” and Loretta (Corsaut) Finney. He graduated from Shelbyville High School in the Class of 1961 and was a U.S. Army veteran of the Vietnam War. Jerry married Patricia “Tece” Ballard on July 12, 1962. He began working as a mechanic for Leach-Wilson Chevrolet-Buick in Shelbyville and later worked for Caterpillar in Decatur for over 30 years, retiring in 2003. Jerry was a member of V.F.W. Post #4829 in Shelbyville and enjoyed fishing, being outdoors and spending time with family and friends at his cabin on the Ohio River, near Golconda, IL. 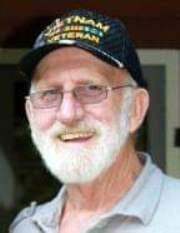 He is survived by his wife, Tece; daughters, Jerri Lynn Yager (Al) of Austin, TX and Debbie Jo Plunkett (Vaughn) of Charleston, IL; son, Steve Finney (Jessie) of Bargersville, IN; mother, Loretta Finney of Danville, IL; sister, Joyce Spicer (Gary) of Catlin, IL; six grandchildren, Sean Yager (Maggie), Jacob Yager (Eva), Darren Kingery, Megan Plunkett, Jacob Plunkett and Mariah Starling (D’ante); and four great grandchildren, Zeq Plunkett, Noelle Schrock, Luke Kingery and Lawson Plunkett. He was preceded in death by his father, Steve Finney. the life of: Finney, Jerome C.